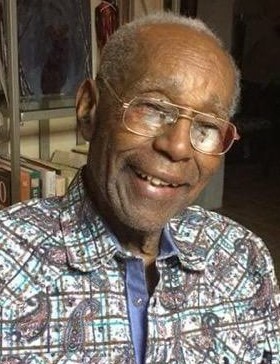 Mr. Eugene Coleman, Sr. was born on February 3, 1921, in Ennis,Texas. He was one of six brothers and three sisters to the parents of Mr. John Latelasafale Coleman and Mrs. Beatrice Simms Coleman, all who proceed him in death. Mr. Eugene Coleman moved to San Antonio, Tx in the 1940's. He accepted Christ at an early age and he attended Mt. Zion First Baptist church under the leadership of Rev. Claude W. Black. Mr. Coleman, a Civil Rights and Community Activist, begin his career as a photographer during his World War II service in the Air Force. Mr. Coleman was co-founder of SNAP magazine with Mr. G. J. Sutton and Rev. Claude W. Black. Mr. Coleman served as editor to publish news that was often neglected by mainstream media. He was an entrepreneur of the only black photography studio in San Antonio, Tx. located in St. Paul Square. Businessman of Snap house, a chicken stand at the corner of N. Hackberry and E. Houston street, just up the road from his Photography studio. Mr. Coleman was married to Mrs. Doris Coleman, and to that Union they had one son, Eugene Coleman, Jr. He was later united with Mrs. Birdie Mitchell Coleman, who preceded in death in 1999. Mr. Coleman was always working and supporting others like San Antonio Black History Collection, Delta Sigma Theta Sorority, Mario Marcel Salas Papers and SNAP News collection, he was always a businessman.